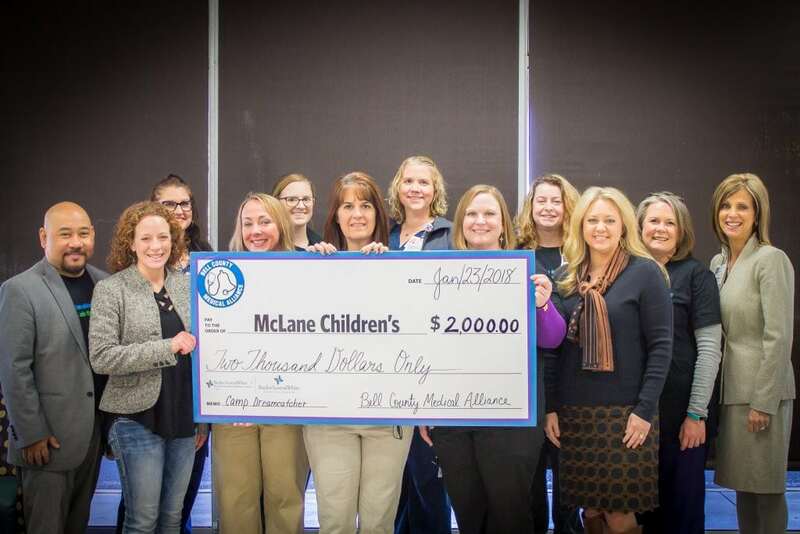 Bell County Medical Alliance sends kids to camp! As many of you know, McLane Children’s has several amazing camps that we send our patients to each year. What you may not know is that the cost of these camps is 100% covered by philanthropy! A child never has to pay to attend camp. 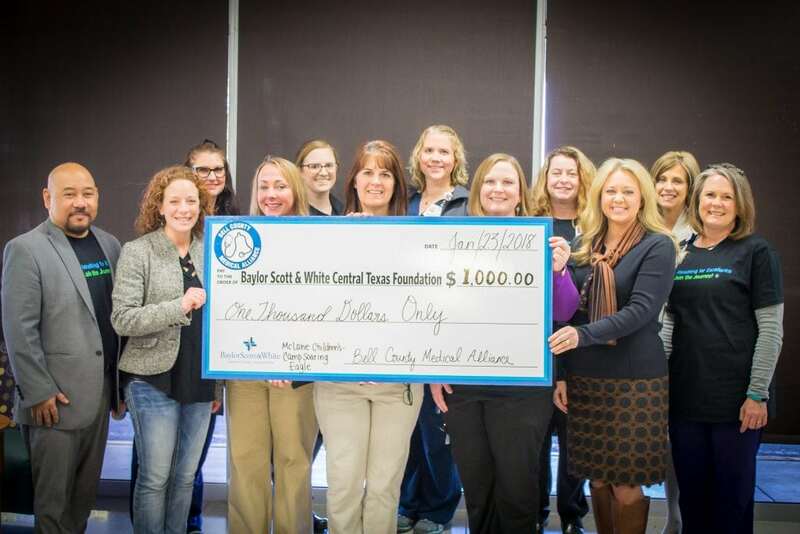 Camp Dreamcatcher and Soaring Eagle received a generous donation from the Bell County Medical Alliance that will help support the cost for camp! Camp Dreamcatcher is a camp for children with cancer and rare blood disorders. Soaring Eagle provides support for children with neurological challenges. These camps are specifically designed to support the unique needs of our patients while giving them a traditional summer camp experience. We are so fortunate to have Bell County Medical Alliance as a partner for camp. Your generous donation of $3,000.00 will provide healing smiles on the faces of several young children this year. THANK YOU.